I loved the discussions which occurred after I posted my Jewelry Resolutions blog. This is exactly why I do what I do — I want to hear from you and connect with other jewelry lovers! I added a space on my Instagram Story where anyone could tell me what their Jewelry Resolutions are going to be. I received SO many great goals. Some of you want to buy more earrings, some want to learn more by attending real classes, others want to get their appraisals updated so they are covered and good to go. A couple people wrote similar resolutions and they were something I never thought of before and really wanted to bring to light. They said they wanted to SHOP SMARTER meaning buy jewelry items which they will constantly wear and get the most use out of…pieces that could be dressed up or down and are comfortable. I couldn’t tell you how important comfort is when it comes to jewelry until the past few months. 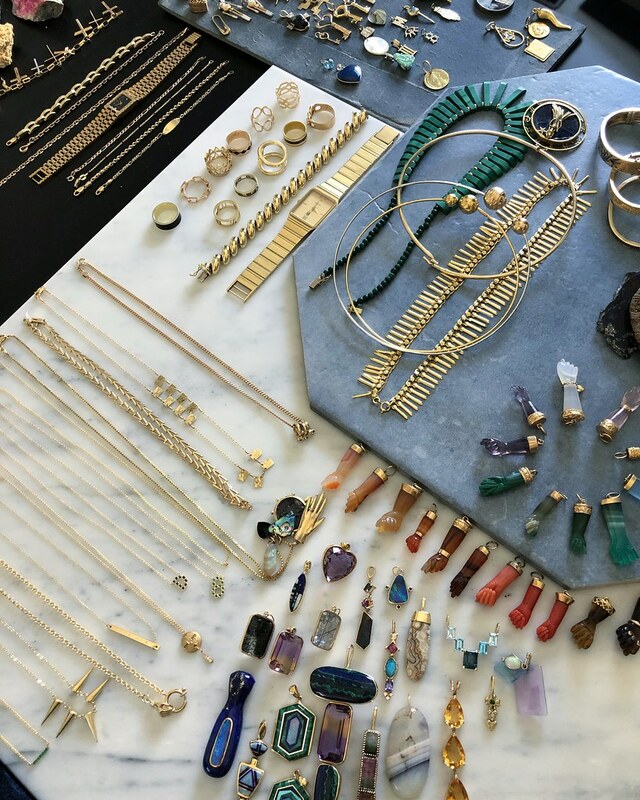 With the baby on the way, I wanted to pare down my jewelry wardrobe and a lot of what I let go were pieces that weren’t comfortable. I guess comfort is key! This also made me look into my own personal jewelry box to hone in on the pieces I wear most frequently and ask myself WHY? After doing this exercise, I began to see a pattern and made some shopping categories so you can shop smart this year! These are pieces that I feel everyone should own…they are classic…and fit with any wardrobe, any style! Remember to make it your own, so if I suggest a “signature bracelet,” choose something that speaks to you and your style.